For over 40 years, Al-Arabi Publishing and Distributing has exhibited at the Cairo International Book Fair (CIBF), with titles mainly in politics and mass media. For the past decade, however, it is translated titles, mostly fiction, that have attracted readers to this particular publishing house. According to Al-Arabi publisher Sherif Bakr, this was a good year, with book fair visitors showing a true interest in learning more about the world. “We did well; our new titles of translated novels and books in general were very well received with people being very happy to go through piles of books that bring to them ideas from Finland, Serbia, Austria, Zimbabwe and many other countries,” Bakr said. One of this year’s newly translated titles for Al-Arabi is the Arabic version of Bryony Rheam’s “This September Sun,” the gratifying novel that came out in late 2009, examining layers of the lives of the “settlers” of Rhodesia that continue to haunt Zimbabwe’s grandchildren. This is the first Africa-centred novel translation for Al-Arabi that has otherwise, over the past four decades, brought to its readers a wide range of political readings on Africa, including the Arabic translation of Wolfgang Bauer’s “Stolen Girls: Survivors of Boko Haram tell their story,” which came out in 2017. Meanwhile, Bakr is hoping to bring out a translation of “Thirteen Cents,” a novel that approaches the shadowy side of life in Cape Town. 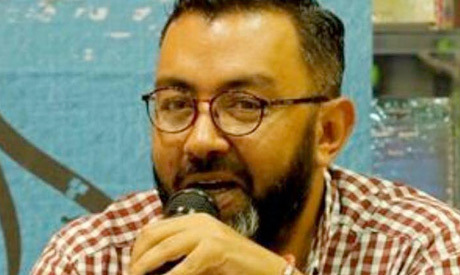 “I am hoping it will come out this year but it might have to be for the book fair next year, because translation does take a long time to be done properly,” Bakr said. Bakr affirmed that he would like to bring more writers from Africa. “The trouble there is that African writers are either very well known (and those are usually the writers whose work is published in European countries that once colonised Africa) or are very difficult to trace. We are usually looking to get our readers acquainted with the less known rather than the well-known,” he said. “I was, for example, very lucky to have met the author of “This September Sun” at the Frankfurt book fair, so I learned about the book. I keep looking for African writers or otherwise for books written about Africa,” Bakr said. “But yes, when we look at the map we have in the office, where we pin the countries that we had brought books from, we do feel that we still have so much to do on Africa,” he said. Meanwhile, Bakr is happy to have seen the attention this year's book fair brought to Al-Arabi’s translation of “Purge,” a Finnish novel by Sofi Oksanen that looks at the political and social impact of the occupation of Estonia by the Soviet Union during World War II. The novel has been translated into near 40 languages. “We translated from the English version, as we have been doing with a considerable number of titles, because usually it is easier to find literature translators who work from English into Arabic, and also because usually the English translation is a very good one,” Bakr said. When he started off his translation section a little under 10 years ago, Bakr created a small team that was essentially translating and editing from English. Today, the team has expended and it is now working on translations from several European languages. “Translation is usually a very taxing job, especially translation of literature. But we have a rule at Al-Arabi: we are making a translation that has to be an easy and enjoyable read, so we are not held captive to the exact, literal translation. I think this has been essential to our success in getting our readers acquainted with literature from all the continents,” he said. This year, for CIBF, Al-Arabi issued 24 literary translations that they have been working on for over two years. “Sometimes one thinks it would be easy, but things become slow. Like this year, we have a translation of an Armenian novel and we thought it should be an easy going process, given the large Egyptian Armenian community. But it took quite a bit of time to put the translation on the right path,” Bakr said. According to Bakr, “Purge” is one of this year’s best selling for Al-Arabi. 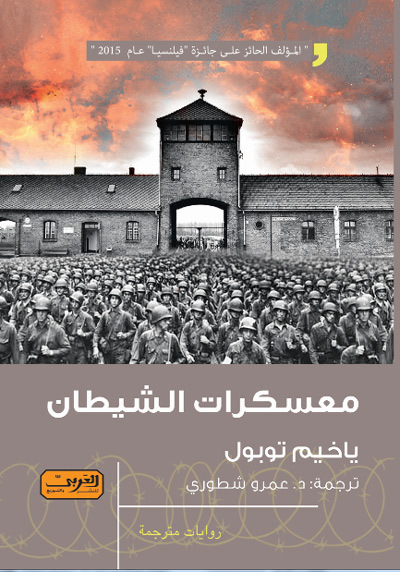 Another very well received book is the Arabic translation of “The Devil’s Workshop” of Czech novelist Jachym Topol, that examines the history of concentration camps in Belarus. “With this book we had to spend over a year on the translation and editing, and inevitably we needed to invite the author for the revision of the final version of the book. It sometimes has to be this way. But it does not matter how long time it takes, so long as we come up with a good translation,” Bakr said. Al-Arabi focuses on translating fiction. “I think of the books we translate, we do roughly 80 percent fiction and 20 percent non-fiction,” Bakr said. “I guess people are more interested in reading fiction. Actually, our readers are mostly young and are more into fiction generally,” he added. Al-Arabi, Bakr said, is continually seeking titles that would attract younger readers. Currently, he added, Al-Arabi is working on the Arabic translation of an Australian novel, “Life on the Refrigerator,” that tells the story of a mother and daughter who end up communicating through sticky notes put on a fridge. Bakr expects that this will be one of the novels to attract the "young adult" constituency of readers, which he says constitute a big audience for literature. 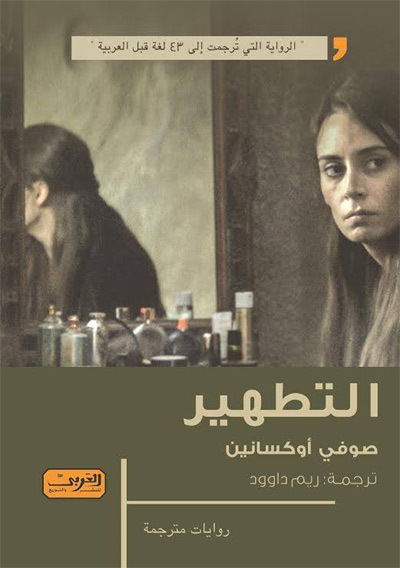 Al-Arabi is also behind three Arabic fiction titles for this year: “Tamar” by May Khaled; “Frames of Emptiness” (Otor min Faragh) by Amr Afiyah and “The Prisoner of Muscat” (Sagine Mascat) by Al-Sherbiny Ashour. “One should never underestimate the impact of literature on people’s lives. It induces them to think of things and feel things that might be life-changing, literally and not metaphorically,” Bakr said.